No matter your experience in using internet and related services, we can simply state that you are aware about YouTube, leading video streaming and sharing service, owned by Google! Even newbie internet users are aware about the service, as they can watch videos and movies without approaching the so-called idiot box, TV. Now, most of the popular TV Channels have started publishing their programs via YouTube in order to attract more users. As you might know, you can download YouTube videos as well. You need to use some third party services or software for doing so because YouTube has not released an official feature yet. Hence, according to normal internet users, YouTube is one of their best visual entertainment service accompanied by some other features like live cricket matches, full movies etc. Rather than pausing, resuming and seeking video, there are additional features in YouTube. However, you might not be aware about ‘all those’ YouTube features, which are quite useful! Here, you can checkout such in-built YouTube features. 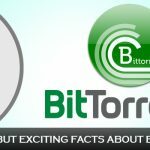 We are still sure that most of you do not know about these features. Here, we are covering tips for using YouTube through your PC and may vary according to your device. In some cases, not all parts of one video are entertaining. Rather than asking your friends them to click the time stamp, you can do it when sharing the URL itself. In such URLs, the video will skip early portions and start playback from a specified point. 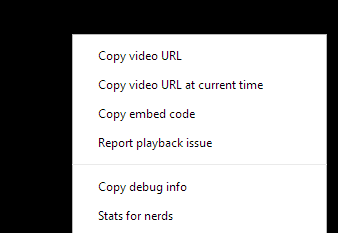 This option is available from the context (when right clicking on video player) of YouTube. Otherwise you can click on ‘Share’ tab then there is an option provided for this, video start at edit it, copy the URL and send it to your friend. For at least some of you, finding the desired video is a tedious task as there are billions of useful and useless videos on YouTube. There are two options for available on YouTube for easier searching of videos. For excluding non-desired videos, you can add the word ‘allintitle:’ before the search term (example, ‘allintitle: printer cartridge replacement’. In this search, the service will list out videos, which has all these terms in the title of the video, as the prefixed word implies. Thus, you can get the most relevant videos among the available ones. In another option, you can exclude videos having a specified search term. For doing so, you should add the search term followed by the term to exclude. For instance for skipping cartridge replacement of Canon printers, you can change the keyword to ‘printer cartridge replacement –canon’. Obviously, both of these options are much effective when used! Unless you are the special user of YouTube, you are using the Adobe Flash based player in YouTube. 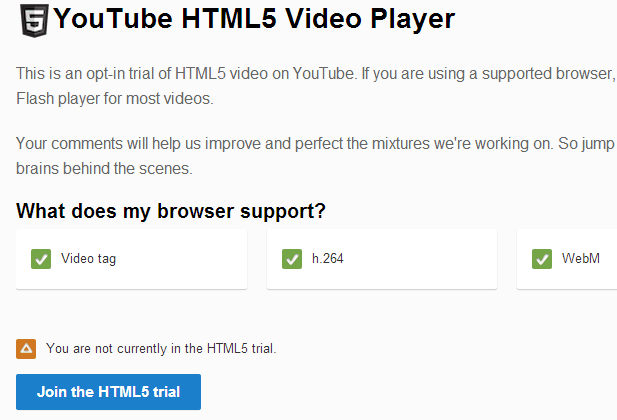 However, in this web world of HTML5, the future coding language, YouTube has annexed one HTML5 player with the service. You can enable this feature in your account by visiting this link. Apparently, this player has more speed than the flash-based one and of course, it just needs a HTML5 supported browser. As far as we have experienced, HTML5 player has more features as well as good-looking interface. As a slow internet connection user, we should mention that using YouTube is a herculean task, indeed. For satisfying such users, YouTube has included a special feature dubbed as YouTube Feather. When you have enabled feather, YouTube will restrict some features and reduce downloaded data. Even though you may miss some features, you can get a seamless video streaming experience, which is faster than the former version. As the title implies, YouTube feather is in beta and has support for only some of the published videos. However, once you have a faster internet connection, you can switch to the full-fledged player either for once or permanently. 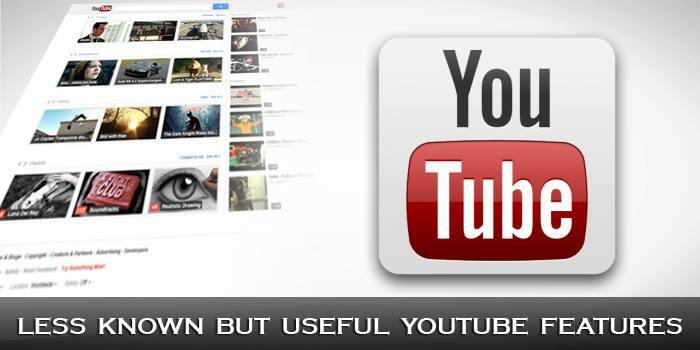 YouTube Slam is a useful feature for you if you are fond of watching and enjoy brand new videos. As you can guess, Google uses user-opinions for finding the best video in one category. When there are two videos with almost the same statistics, the YouTube team will set up a poll, where users can choose their favorite video. Hence, videos from various categories are published in Slam page and other users can find optimum entertaining video sequences for them. As a gamification addition, users will get bonus points if they have selected the best video (the same video selected by YouTube) and can become a ‘leading selector’. On the other hand, YouTube Slam is indirectly popularizing videos as well. As we mentioned before, YouTube has acquired many features in previous years including special ones, which can convert your PC screen into a media player than streamer. When you have activated this feature, YouTube utilizes maximum of your PC screen or even you can connect PC to a bigger screen for easier viewing. If use of keyboard and mouse interrupts your viewing experience, you can convert your smartphone into a remote by installing an application named YouTube Remote. Through this application, you can play, pause, select and control other things through single taps. Along with the support of YouTube remote, YouTube Leanback is a feature worth checking out. If you are mad and passionate about music from your favourite artists, YouTube has already set up a feature for you! Finding the latest piece of music is much easy via YouTube search. Name of the feature is YouTube Music Discovery. You can follow this link for using YouTube Music Discovery. Here you can enter the name of your favorite artist or band! 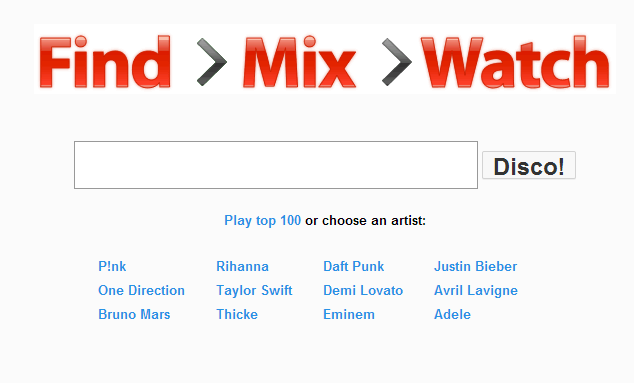 In seconds, you can see a YouTube player accompanied by a playlist containing music from your favourite artist. Probably, this feature is more effective when compared to videos. For the creative video editor in you, who might lack professional editing skills, YouTube has an in-built video editing platform, where you can edit your videos with easily when compared to the high-end video editor. You can combine videos, add background music and some easy jobs to set up your own YouTube entertainer. We have listed out some less-known but useful features in YouTube here. Do you know any other features that may help YouTube user experience? Do let us and other readers know via comments. Nice overview! I think Google has done a pretty good job with youtube as it’s path and growth seems to of remained intact unlike some of their purchases. Would love to see chapters added at some point. Thanks a lot for this post. There are a few features about YouTube that I wasn’t aware of and now thanks to you I know. I especially liked the YouTube Leanback feature and am surely going to try it. This one is really informative. Like about these features of Youtube. A comprehensive post about unknown youtube features. I’ve known about the feather, video and other commom features but music discovery,leanback and slam are the features i’ve heard for the first time. Well written and researched article, must say. I have observed that One thing is common in all internet user that is youtube. Even a person have no knowledge about internet but he know what is YouTube. Those actually were some pretty helpful tips. I considered myself pretty well versed in YouTube’s services. Using that service to find music is actually really helpful. After finding songs I liked, I usually go to dirpy.com to convert them into downloadable mp3’s. I also might have to check out their in-house editing program as well. Great list! Starting at a point in a video is an awesome features which even saves out time of watching the entire video. Even other options such as excluding other videos saves our time in searching desired videos quickly. Youtube Leanback is one of the beautiful and favorite feature. I like it so much and appreciate your review about it. This is really cool! Didn’t know that YouTube had these “hidden” features. All I use YouTube for is uploading, watching and embedding videos. Great composition. I would recommend the 1980 trick too to be added in the lesser known feature. Very brief but still very informative post i must say. I did not know these facts about Youtube editor. Actually, I have been searching for it for very long time. Thanks alot..
Well, I liked ‘allintitle:’ feature and other are not for my use and Youtube is not working . Isn’t It? Very useful information. I have a YouTube channel but Google is not verifying my account. Do you have any suggestion? Thanks. This is very limited information Hammad, please mention the complete details.